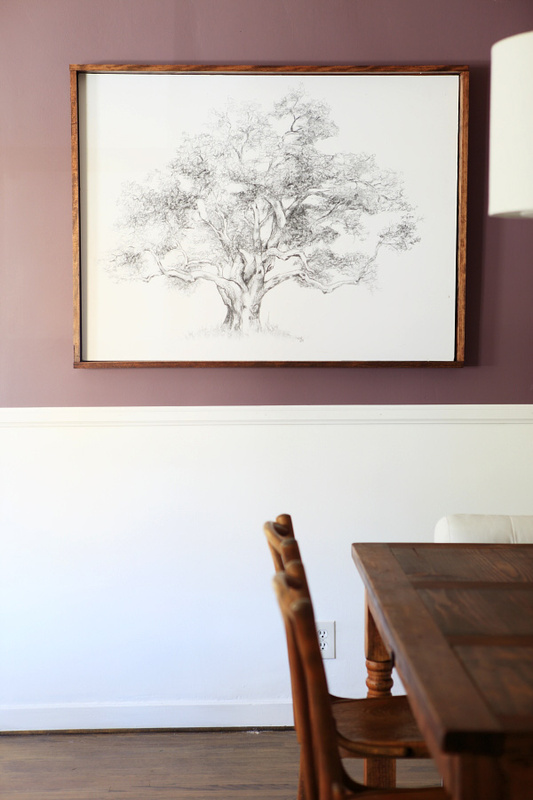 >Did you watch last night’s episode of Secrets from a Stylist? I loved it! There are quite a few things that didn’t make it into the story for our episode. They edited out the parts where we talked about the camera collection, but it is one of our favorite things that Emily did for us. 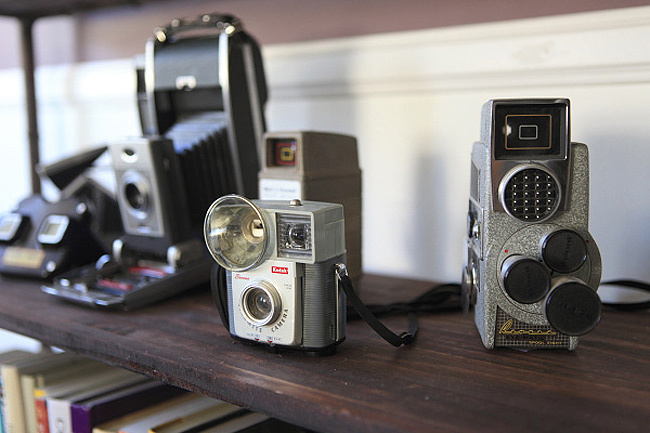 My husband had a few cameras already displayed in the office, but she got him more and really completed the collection. I love that they face you as you sit on the couch watching TV. It has a cool mirror-in-a-mirror quality. Emily didn’t know it, but the stump side table has a lot of meaning for us as well. Our wedding was at my husband’s parents’ house. They have a 10 acre ranch covered in oak trees and big rocks. The theme of our wedding became the oak tree and we used slices of them throughout the decor: on the tables, under the cake, etc. 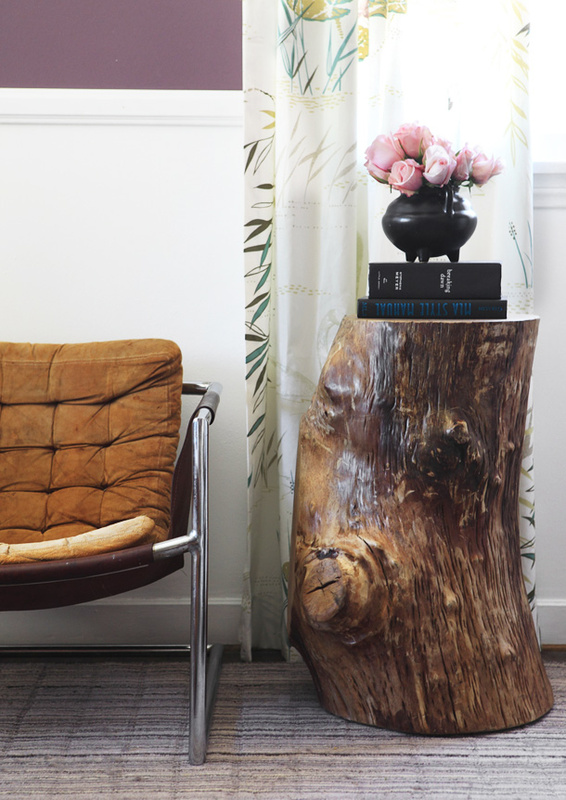 I’ve always wanted a stump like this and it works so beautifully in the room. As for the best part of the whole room? The part that almost made me cry when I saw it in the first reveal (of course, they cut that out because it didn’t go with the whole we-were-so-pissed-off thing)? 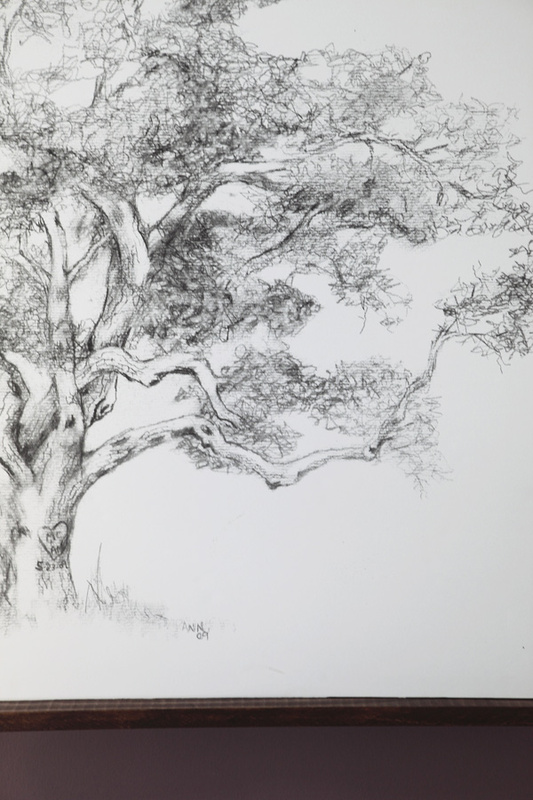 This tree is a drawing by my mother-in-law. We used it on all of our wedding stationery – invitations, seating cards, reply cards, programs, etc. Last year, she had the original framed for us, but I’ve always wanted it blown up huge for the living room. It it a symbol of our love for each other. You see, this is a real tree on my in-law’s property. If you walk to the other side of it, you can see that it is actually two trees growing into one (just like us). I’ve always known that it’s the details that make something special. The details of our room really make it stand out as ours and I love seeing all these reminders of our passions everyday. This concludes the recaps! Did you miss something? @JakeandjessThanks!! Looking forward to it!